In the centre of the Saigon’s famous backpacker area, 23/9 Park is a must know for anyone who travels to Ho Chi Minh City. 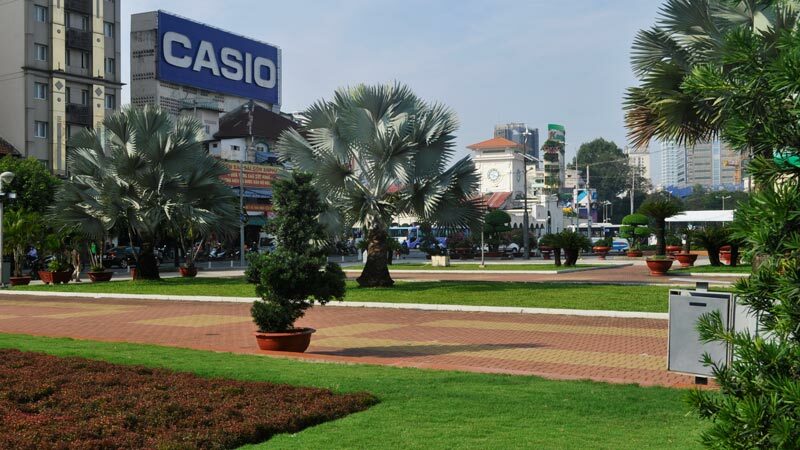 This park is a great introduction to the vibrant commercial hub that is Saigon. Take a seat outdoors and watch or talk with a range of people from all over the world, speaking all sorts of different languages. 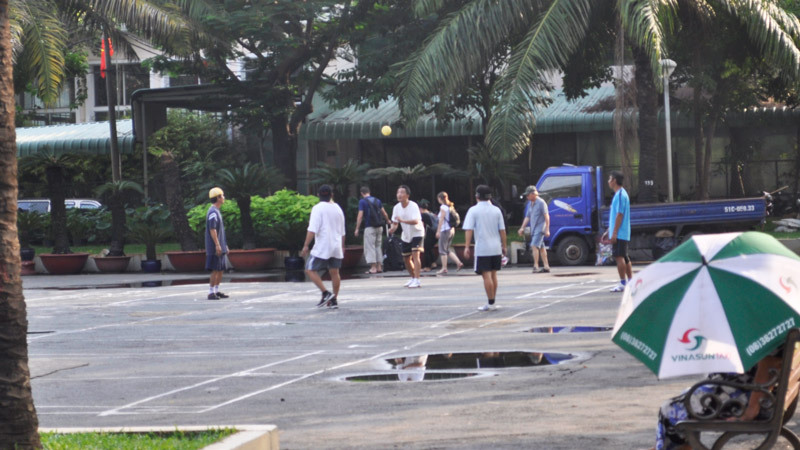 The Saigonese use this park as an exercise ground, a meeting spot and a classroom. Groups of people gather here to talk and relax in the evenings, families bring their children to play under the trees and young couples hide in the shadows. On the weekend 23/9 Park is especially full, and every evening a number of ladies’ exercise classes take place which, with their booming dance beats and krumping middle-aged mothers, are seriously a must-see whilst you are in Ho Chi Minh City. Feel free to join if you wish! Groups of students studying English also visit this park regularly to talk with the travelers who seek refuge in its cool shade. Grab a bite to eat and a drink of water and take a seat next to the grass to wait for someone to approach you. They’re all very friendly and nice to talk to, and most will talk with foreigners in groups. They may even invite you for a beer or a smoothie after, or take you to their favourite eatery! Given its many groups of students, families and other locals, 23/9 Park is a good place to learn about local life when you visit Ho Chi Minh City. Sit in the shade of a tall tree and relish a momentary break from the chaotic streets of Vietnam’s busiest city, chat with someone new and learn about their life, plan your travels or enjoy a cool drink as you get ready to speak English to a smiling student.